White House press secretary Sarah Sanders had harsh words for members of her own staff Wednesday following leaks about an aide's callous private remarks about ailing Sen. John McCain that drew a barrage of bipartisan criticism. "I can tell you there are a couple of bad actors," Sanders said in an interview on 'Fox and Friends.' "I think it is disgusting and some of the most shameful behavior that you could ever engage in." Sanders' comments followed President Donald Trump's own personal condemnation of West Wing leakers on Monday, who he described in a tweet as "traitors and cowards." The White House has been under fire from Democrats and Republicans who have called for a public apology to Sen. McCain after White House aide Kelly Sadler said McCain’s opposition to Gina Haspel’s nomination to be CIA Director didn't matter because he’s “dying anyway." Sanders then convened a Friday meeting where she was described as "on the verge of tears" as she scolded staff for the leak of the comment, according to multiple senior White House officials. 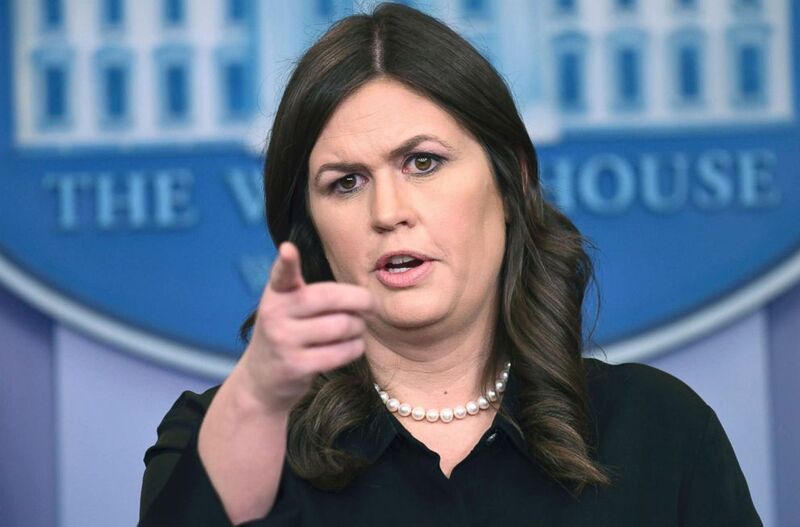 The White House has since sought to shift attention away from Sadler's comments and to the leak itself, with Sanders again pressed during her Fox and Friends interview why the White House won't apologize to the McCain family. “I'm not going to get into the back and forth on this, I think it's been addressed. We are dealing with this matter internally,” Sanders said. While Sanders didn't offer any specific examples, she said in the past she has caught staffers for leaking and described them as "cowards" who abused their opportunity to work in the White House. "I have personally fired people over leaking before," Sanders said. "And we certainly would be very willing to do so again." In an interview with Fox News Monday night, White House counselor Kellyanne Conway was asked if she thought there would be any personnel changes in the White House as a result of recent leaks, to which she replied, "I do actually, yes I do." But when asked Wednesday by reporters if there were any departures expected soon, Sanders didn't answer one way or the other. "We’ll keep you posted if we have any personnel announcements," Sanders said.